← All Points East Music Festival is coming soon… Are you looking for a Festival / Event Haulage Partner? With spring around the corner the stores are probably stocking up on garden furniture and BBQ’s. We bet you wont see one this size though. 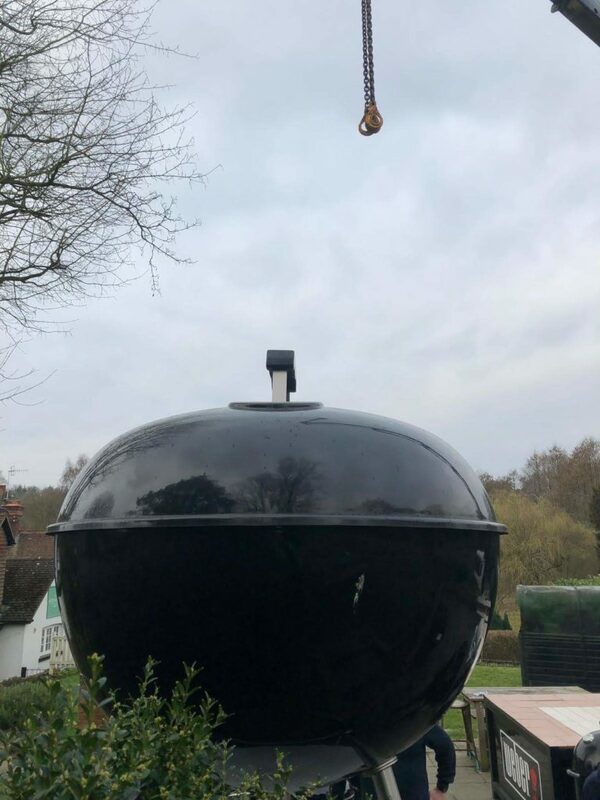 Check out the Weber BBQ we placed into one of our customer’s gardens last week. 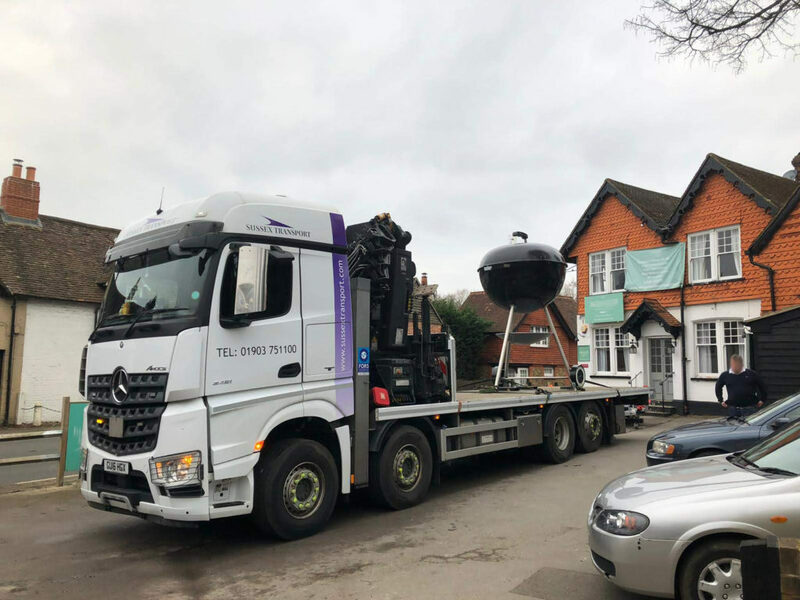 These guys and girls are going to be putting on some amazing BBQ’s this year and we cant wait sample what comes off this huge grill. 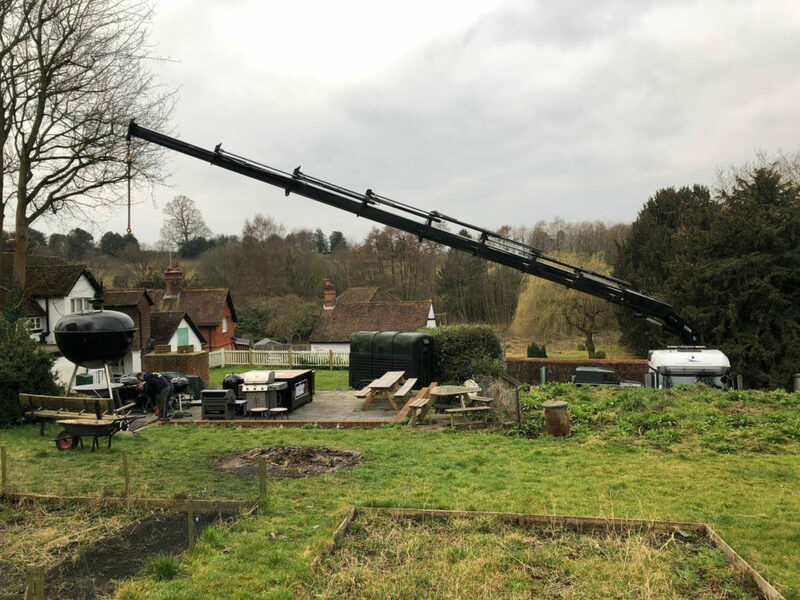 Sussex Transport were trusted with the delivery of this bespoke bit of kit and due to the size, weight and final location we transported, lifted and positioned using one of our HIAB cranes. 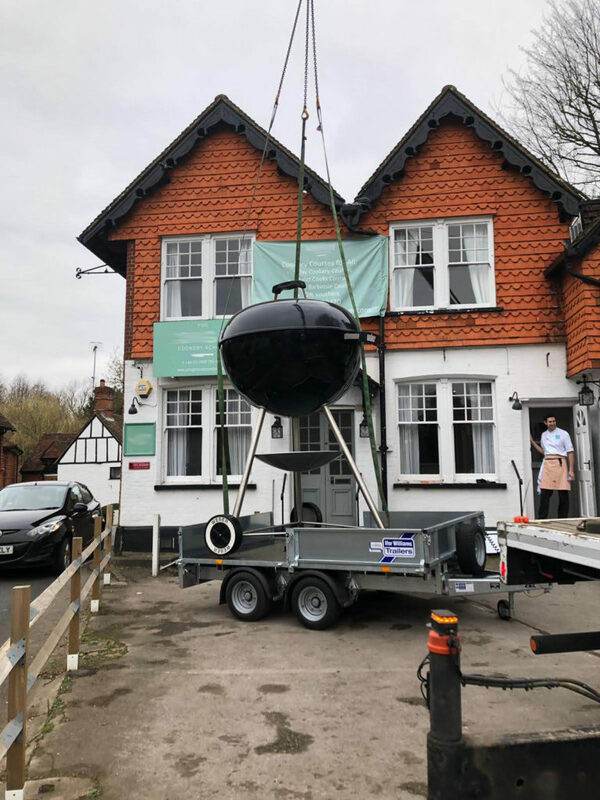 It was tight at times, but our skilled team were able to get this large BBQ in place just like they always do. If you have a large item to lift, shift, transport or position just get in touch with our expert lifting team today on 0800 9152323 or using our contact form. Meanwhile, enjoy these great pictures of this excellent Weber grill and dream of Summer. 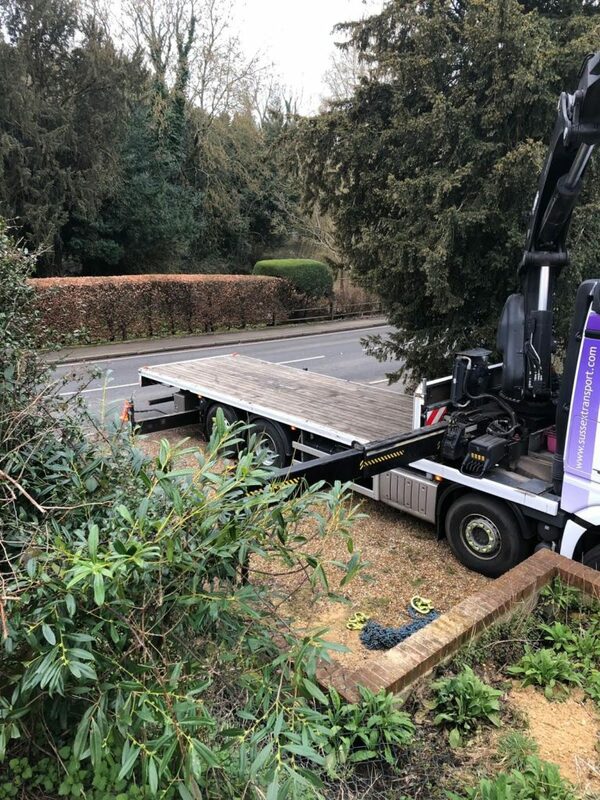 This entry was posted in Delivering to..., HIAB / Crane Lorry Loaders, Where are Sussex Transport going..., Where are Sussex Transport..., Working with... and tagged BBQ, crane, haulage, hiab, Summer, Sussex, Weber. Bookmark the permalink.